Due to political, social and economical dynamics that occur over time, national borders are subject to movement and change. There are some strong driving forces that challenge governments to preserve their borders, sustain political stability or to safeguard the socio-economic living standard and cultural heritage in their country. These forces are globalization, immigration, economic and political drivers as well as new information and communication technologies. All are closely related and have a high rate of interaction. Recent events clearly indicate that the border discussion is a hot topic. As such, border security is likely to remain high on the political agendas of different nations. By securing borders, governments have the difficult task of protecting their nation from threats such as terrorism, illegal trade, crime and immigration pull and push factors. Borders have to be secured but they must also ensure that a country remains competitive and open for business as a destination of choice for tourism, trade investment and education. Setting up an effective border security system comes with a set of challenges that are related to the geography and economy of a country, the identified threats on a border and the nation’s policy on how to deal with those threats. Brazil, for example, has 10 neighboring countries with 16,885km of border and a coastline stretching more than 7,491km. Moreover, when taking a border control system into account, the Brazilian government has to deal with a wide geographical diversity that includes the Amazon rain forest, the Andes mountain ranges and deserts. Economic factors can also be key and the financial status of a country and the threat to disruption of the economic prosperity will define how many resources (financial, technology, work force) can be pulled in for border security programs. More developed nations have greater means to run such programs as compared to African countries that need to deal with more persistent humanitarian or internal conflicts. Moreover, the search for new natural resources will increase border tensions—take, for example, oil exploration and drilling at the North Pole. More attention will go to border areas that are under continuous pressure—in example, the conflict in the Ukraine, the recent Israeli and Palestinian clashes in Gaza, the surge of 70,000 unaccompanied children crossing into the US, and the Syrian civil war that puts pressure on Turkey, Iraq and Lebanon with an enormous number of refugees to deal with as well as ISIS activities. Overcoming these challenges and running an effective border security policy can only happen when linking processes, technologies and organizational structures cooperate through an integrated program. Access to a common data set that is updated at regular intervals at each point of intervention is a key feature for modern-day border security management. Satellite will always be an inherent part of such a strategy. 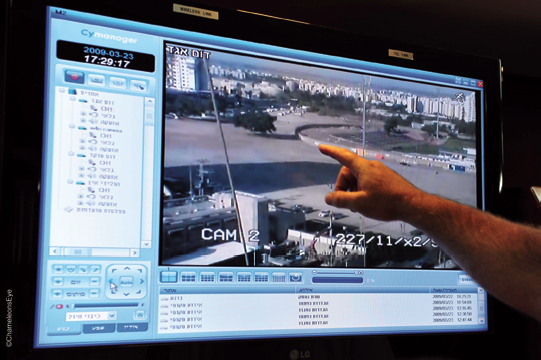 Border security and satellite technology are closely linked. Earth observation (EO), surveillance and communications in border security programs rely heavily on satellite technologies. EO and other surveillance systems help to monitor and report movement in the more remote areas of a country along the border, enabling intelligence to be received despite difficult terrain conditions, such as mountain ranges, sea, tropical forest; and climate including desert or thinly populated regions. Satellite communications allow border security authorities to exchange information or critical data access by headquarter units, by border checkpoints or by on-the-move border patrol units. In such a scenario, SATCOM will be used as a primary or secondary communication channel. 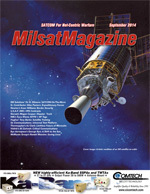 When the border checkpoint or gate is located in an area that is well provisioned with terrestrial communications, the SATCOM solution will function as a backup system to make certain the exchange of mission-critical data remains fully available, even when natural or man-made disasters strike or the terrestrial infrastructure is temporarily unreliable. When border patrol units are on-the-move (land/sea/air), or border gates and ground surveillance systems are installed in remote locations, satellite will more than likely be the primary communication channel. Surveillance and detection systems are installed at regular intervals along border perimeter fences, on observation towers and on aerostats. The product of different sensor technologies such as standard and high definition CCTV multispectral, infrared and motion detection systems are relayed over satellite towards the operational headquarters for processing, to facilitate quick decision taking or to update the border security database. The acquired products are redistributed, either in real-time or after initial processing, to the different border security entities or even different national/international agencies. Remote checkpoints and border gates need access to the Internet and the border security network over satellite in order to perform daily tasks such as frontier policing, identity management and database access. At the same time e-mail, ERP, VoIP, video conferencing and other office applications are required for administration purposes. To increase the efficiency of border security operations, biometric identification, face and number plate recognition services are added to the satellite communications traffic. Border agents patrol in land vehicles and maritime vessels with surveillance and detection systems installed on these mobile observation platforms. Air surveillance capabilities are provided by manned and unmanned airborne platforms. Beyond line of sight satellite communications will be used in these cases to relay real-time information to operational and local headquarters. The combination of these services and applications will improve the efficiency of border security operations. However, the deployment of bandwidth consuming sensor technologies and the increased throughput of video, data and voice traffic over satellite, puts pressure on available satellite bandwidths as well as on allocated budgets for border security. The complexity of border security operations calls for a comprehensive, flexible and all-encompassing SATCOM platform that can satisfy different applications, services and traffic types. The satellite platform needs to embrace the complexities that come with border security operations such as mobility, service availability, stringent budgets and more data and must also able to maximize efficiency in order to respect budgets and to make the most of throughput. In the border security ecosystem a satellite network must take multiple platforms into account as well as technologies, services, applications, agencies and stakeholders that need to interact with one another. To match the challenges and complexity of border security operations over satellite, Newtec offers an innovative multi-service platform called Newtec Dialog®. This multi-purpose satellite VSAT platform is highly scalable and flexible and allows border security agencies to build and adapt their infrastructure according to the operations at hand. The Dialog platform is built around three core concepts that have been executed all through the architecture, the supporting technologies and the implementation of the platform. These core concepts are Flexibility, Scalability and Efficiency. They can easily be translated towards the everyday border security operational reality. Border security operations call for high flexibility to respond to changing environments, threats and daily interventions. Newtec Dialog is built for flexibility and will help authorities embrace changing environments. The flexibility of the system is reflected in the ability to support multiple services such as sensor video, biometric data, voice, database access and applications such as surveillance, on-the-move, Internet access and data exchange. Moreover, these services can be tailored according to the application requirements through the bandwidth management and advanced hierarchical Quality of Service tools inside Newtec Dialog. The relay of surveillance sensor data will be bound to different QoS and priority rules compared to the Internet access services used to run the remote border checkpoint office administration. The border security agency can allocate different throughputs, CIRs and PIRs depending on the different required traffic types and services from remote checkpoints. of continuous data traffic or sporadic access. The type of modem or terminal that is connected to the Newtec Dialog hub inside the border security headquarters can also be adapted. A versatile modem and terminal portfolio will support different types of remotes and applications from surveillance data relay, to Internet access, to on-the-move platforms. If the remote has stringent size, weight and power (SWAP) requirements, Newtec has different OEM boards that can fit dedicated, fixed, fly-away or manpack satellite terminals. Newtec Dialog is independent of satellite frequency and constellation. As such, the satellite network infrastructure can easily be groomed towards another satellite if operational elements change toward a new conflict area in another part of the country, or if contracts with satellite operators or service providers change. The Newtec Dialog platform can be used for an existing satellite based border security network or can grow as more structural border security elements are put in place. The platform scales to every type of satellite network: from a small network with few remotes and a single service, up to the largest satellite networks with multi-service capabilities. The platform can also be scaled from single coverage to multi-spot, multi-gateway High Throughput Satellite (HTS) networks. The Dialog platform hub hardware, license structure and technology elements enable low, up-front CAPEX investment. As such, the satellite network can initially be deployed on ‘hotspots’ along the border and gradually extend by adding remotes, for example at checkpoints, surveillance sensors, airborne platforms. Throughput rates can also be added, as well as services including video, data, voice and different traffic types. Efficiency is defined at both technology and operational levels in the Newtec Dialog platform and provides the border security agency with the extra bandwidth above border regions that have limited satellite coverage. More throughput will be achieved within the same bandwidth, giving the agencies the chance to increase their network with extra services or extra remotes. Additionally, the platform will allocate every bit to the designated user at maximum service availability in order to meet the most demanding Service Level Agreements (SLA). As such, ambitious border security programs can still be achieved within high government budgets. 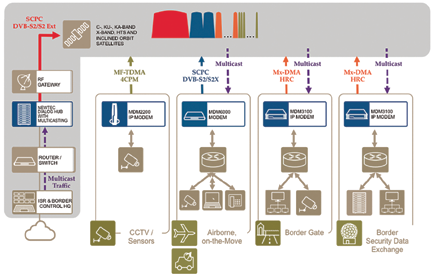 The network design of a border security system will be different compared to a traditional VSAT enterprise network where you would find a big forward pipe connecting multiple remotes and small return channels. In a border security satellite network you would still need an efficient common forward from the hub towards the remotes, but in some cases the traffic coming from the remotes can be quite considerable. This is mainly the case when the border security network connects to bandwidth hungry surveillance sensors that need to relay data and video back to the hub at the operational headquarters. Obviously, the satellite transmission technology must be adapted according to the services that are running over the return link. 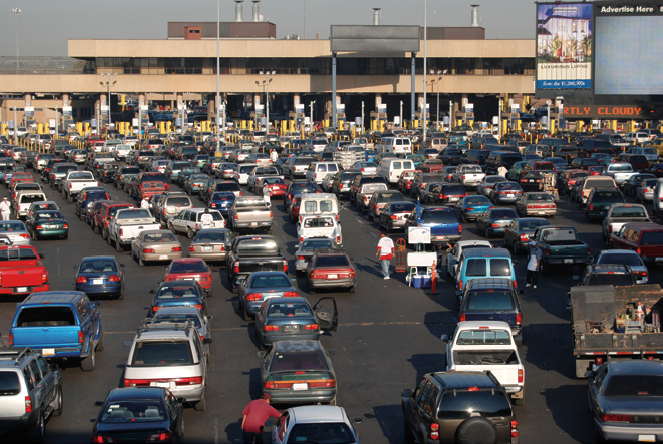 When implemented, Newtec Dialog assists the border security agency to select the best transmission technology for their particular application. The border security operator can select any of three different satellite return technologies in Newtec Dialog, whichever one would be most appropriate for the required services: MF-TDMA, SCPC or Newtec Mx-DMA. • The Newtec Mx-DMA return technology incorporates the best features of MF-TDMA and SCPC technologies and at the same time solves the difficult choice of whether to select one or the other. SCPC-like efficiencies are reached whilst maintaining the MF-TDMA-like bandwidth allocation flexibility. Compared to other technologies in the market, it does not switch between MF-TDMA and SCPC, which typically results in packet and performance loss. Bandwidth and throughput are allocated on the fly. If the border network traffic becomes more important due to increased pressure on remote border locations, extra bandwidth will auto-dynamically be assigned to the carrier based on QoS and priority rules. As well as throughput efficiency, Newtec Dialog also ensures service availability to increase the effectiveness of border security operations and also integrates the well-known and field proven FlexACM® technology. Even in harsh and hostile conditions, it is important to have the satellite links available to exchange mission critical border security traffic and not to lose data. The unique and auto-adaptive technology incorporated inside Newtec’s FlexACM takes care of any fading condition in order to avoid link or data losses. Fading conditions are usually because an operator has chosen Ka-, Ku-, X-band, HTS or Inclined Orbit Satellite, or for environmental (rain and dust), shadowing effects (mobility) or interference between two adjacent satellites. FlexACM ensures these will no longer interrupt satellite conditions. Once sensor, identity, biometric and intelligence data have been collected and processed at the border security operational headquarters, that information needs to be redistributed toward the border gates, on-the-move patrol units and national/international agencies to make certain these entities work with the latest and most up-to-date information. The multicasting technology inside Newtec Dialog will make sure that the information is distributed towards the designated border security entities in a reliable and efficient manner. Building or transforming a border security system to meet 21st century challenges is no easy task. Borders have to adapt to changing threats and pressures. Innovative satellite solutions should be a major part of any border security network as these technologies provide an opportunity to address the complex issues and enhance border security, facilitate legitimate trade and travel, improve efficiency, reduce costs, and provide a more flexible and resilient system even for remote border check points and border patrols on-the-move. Successful border security satellite networks are resilient to changing environments and everyday operational realities. The Newtec Dialog platform allows border security network operators to build, adapt and extend their infrastructure easily according to pressing threats on certain borders, planned government budgets and increasing complexity of border security operations. The flexibility, scalability and efficiency of the Newtec Dialog Platform are directly related to the agility and success of border security operations. A wide spectrum of border security applications, services and traffic types can be covered on a single platform. At the same time, important throughput gains up to 50 percent can be achieved as compared to traditional MF-TDMA and SCPC networks. This gives the border security operator extra means to increase mission-critical traffic within the same bandwidth with maximum service availability. Newtec Dialog offers border security agencies the peace of mind to focus on their core tasks with a scalable and efficient multi-service VSAT platform that embraces the changes and challenges that go hand-in-hand with border security operations over satellite. Koen Willems started his career in 1998 with Lernout&Hauspie as a project manager in the Consulting & Services division. More recently, he joined Toshiba as a Product Marketing Manager for the Benelux and, later, for the European market. In a total of 6 years, Koen contributed to all of the major Toshiba Retail IT product releases. Mr. Willems is, currently the Market Director for Government and Defense for Newtec.